Chicago tax attorney and CPA offering free consultation via phone or email. I prepare business and personal tax returns, settle IRS tax debts and provide IRS tax relief help. Do you have unpaid IRS tax debt? Need an IRS tax debt settlement? I will settle your IRS tax debts. First, I offer an initial free consultation by phone or email. Second, I investigate your IRS tax debts and evaluate your alternatives. Third, I file all unfiled tax returns. Fourth, I guide clients through the IRS Fresh Start Program tax relief program and prepare the necessary forms. How to settle IRS tax debts – watch my IRS tax help video explaining your options. Chicago tax accountant and tax lawyer Brian J. Thompson prepares personal and business income tax returns. Tax law is complex. Therefore, you need an experienced Chicago CPA on your side. How much do Chicago CPA and tax accountants charge for personal and business tax return preparation? The cost of income tax return preparation generally depends upon which tax forms and schedules are necessary. My prices are competitive with other Chicago tax accountants and Chicago CPA firms. I am an experienced tax professional. Additionally, my fees for tax relief help are competitive with Optima Tax Relief’s fees for tax resolution services. The IRS has 10 years from the date of tax assessment (usually, close to the filing date) to collect taxes, penalties and interest from you. The IRS will file a notice of federal tax lien, levy on bank accounts and/or garnish wages to collect tax debts. Discharge of Federal IRS Tax Debts in Bankruptcy? The tax return due date was less than three (3) years before the bankruptcy case was filed. How to settle your tax debts for less without filing bankruptcy. IRS Fresh Start Program tax help usually takes the form of an installment agreement or an offer in compromise (OIC). The 10-year collection period is suspended while the IRS considers your application for an installment agreement or offer in compromise. Contact me now at Brian@BrianThompsonLaw.com for tax resolution help and resolve your tax problems. How to settle your tax debts. An IRS tax relief agreement or installment agreement permits the taxpayer to pay his full federal tax debt in installments. The installment agreement can be as long as 72 months. Tax relief agreements generally require equal monthly payments. The amount and number of installment payments depend on the amount of federal tax debts. The IRS also considers your ability to pay. However, an installment agreement is more costly than immediately paying all your unpaid federal income tax debts. In addition, the IRS charges interest and penalties on the unpaid portion of the federal tax debt. In addition, the IRS charges a setup fee for installment agreements. 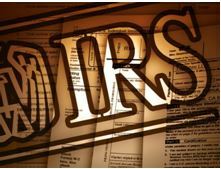 If you owe the IRS more than $50,000, the IRS may also ask for financial information to determine your ability to pay. Even if you set up an installment agreement, the IRS may still file a Notice of Federal Tax Lien to secure the government’s interest until you make your final payment. However, the IRS can’t take any collection actions affecting your property while the IRS considers a taxpayer’s request for an installment agreement, while the installment agreement is in effect, for 30 days after the IRS rejects your request for an installment agreement, or for any period while the taxpayer appeals the rejection. Chicago tax lawyer and Chicago tax CPA Brian J. Thompson will protect you from adverse IRS collection actions. The IRS Fresh Start Program my provide tax debt forgiveness. An offer in compromise allows a taxpayer to settle tax debt for less than the full amount owed. The three types of offers in compromise include: (1) doubt as to collectability, (2) doubt as to liability, and (3) an exceptional circumstance. When evaluating doubt as to collectability, the IRS considers the taxpayer’s (1) Ability to Pay, (2) Income, (3) Expenses, and (4) Asset Equity. Generally, the IRS approves an OIC when the amount offered represents the most the IRS expects to collect within a reasonable time. Effective January 1, 2014, the IRS increased the offer in compromise fee from $150 to $186. Starting March, 2017, the IRS will not consider offer in compromise applications if the taxpayer has unfiled tax returns. However, Chicago CPA Brian J. Thompson prepares all your unfiled personal income tax returns and business income tax returns. Tax debt resolution and tax relief issues are complex. Therefore, retain a Chicago tax attorney and Chicago CPA to represent you. Finally, my fees are competitive with the national tax relief firms such as Optima Tax Relief.